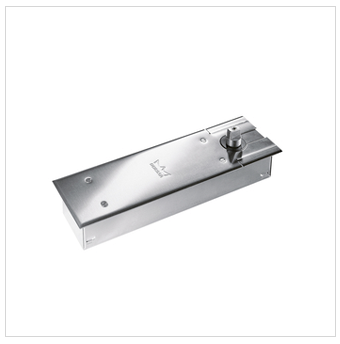 The BTS80 Series of floor-concealed door closers offer adaptability to almost any installation. The closer’s compact body permits its use where a larger closer would be prohibitive. Versatility allows installation in thin slab concrete subfloor construction. A wide selection of interchangeable spindles makes the BTS80 suitable for virtually any floor covering or threshold application. Versatile and adaptableBecause the BTS80 can control exceptionally heavy single- and double-acting doors, you can incorporate the floor closer into almost any design to meet most materials, size, and weight requirements. ApplicationsTrouble-free performance under adverse climatic and traffic conditions makes the BTS80 floor-concealed closer dependable and a perfect choice for even the most rigorous applications. 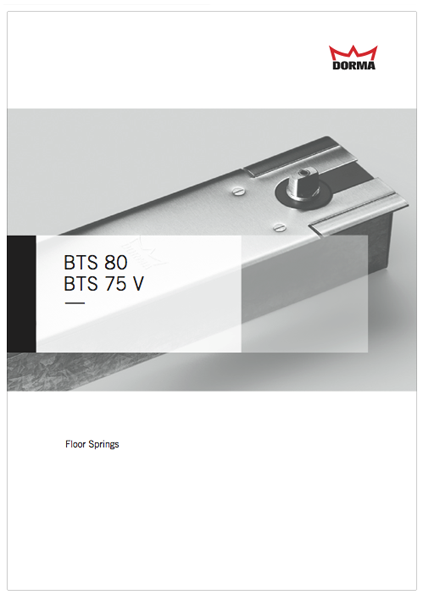 For total control and uncompromising creativity for any door opening, specify a BTS80 floor-concealed closer.